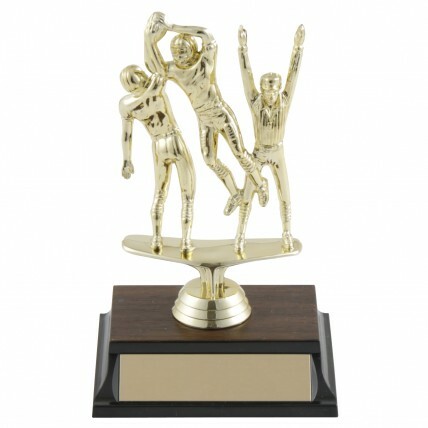 The Game Winning Triple Action Football Trophy presents a golden trio of male figures caught in the excitement of the game --- two football player mid-play and a referee making the call. This triple-action figure is perched on a black base with a simulated walnut top. 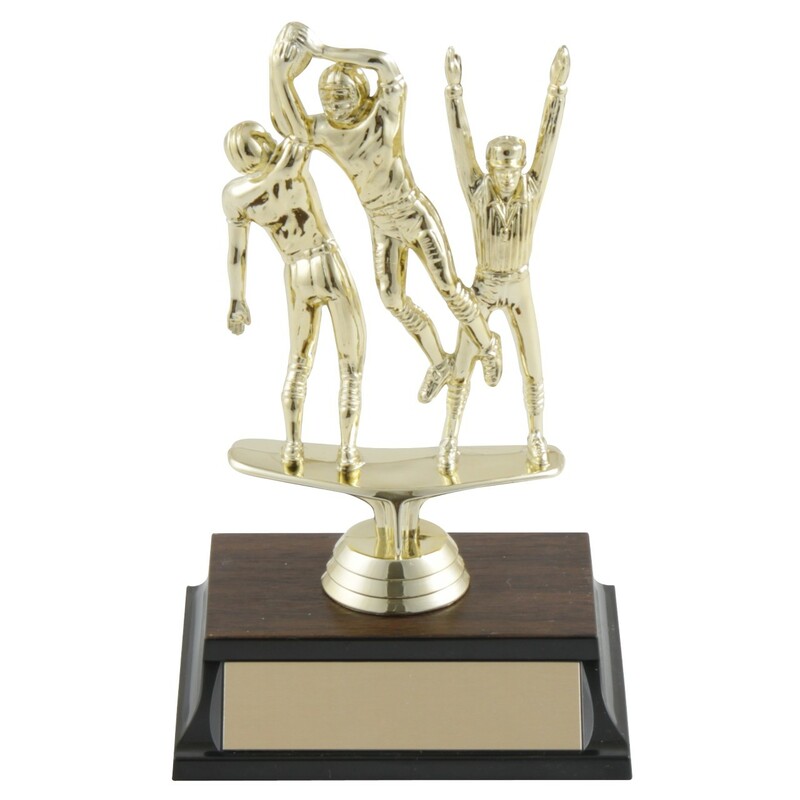 At approximately 5.375 inches tall, this exciting football trophy will capture the many memorable moments for your team!